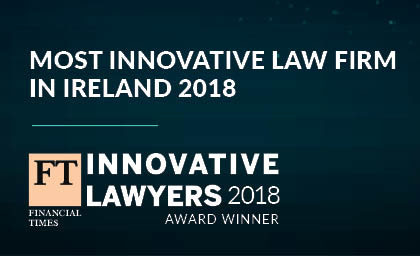 A&L Goodbody has the largest and most experienced Litigation and Dispute Resolution (LDR) department in Ireland. The LDR team offer specialist dispute resolution expertise in relation to complex commercial disputes and regulatory investigations. The Data Projects Group (DPG) was established to support the LDR department in providing dedicated and best in class client assistance for large-scale data projects, Court ordered discoveries and regulatory investigations. Led by Eoghan Kenny, the DPG is supported by a legal project management team and a dedicated team of solicitors and legal review analysts. The group has extensive experience in data management, data analytics, and discovery processes. It utilises project management techniques, technologies and processes that can support client projects of varying size and complexity. The DPG manages the lifecycle of data projects across every stage of the Electronic Discovery Reference Model (EDRM). It engages with clients as early as possible to scope and develop a robust, proportionate and legally defensible project plan. The group collaborates with the client to ensure that projects are delivered on time and in the most cost effective and efficient way possible. The DPG operates in line with current best practice guides, namely the Commercial Litigation Association of Ireland and the EDRM.